In a fixed income portfolio, an allocation to securitized bonds can increase portfolio diversification and enhance yield. At IR+M, we have years of experience researching, analyzing, and trading mortgage- and asset-backed securities on behalf of our clients. Our securitized strategy is well diversified across sub-sectors, incorporating our bottom-up process of prudent security selection. We strive to add value by seeking securities with stable and predictable cash flows, based on a fundamental understanding of the underlying collateral characteristics and deal structures. 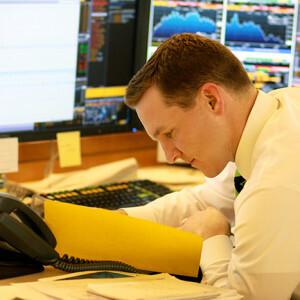 We favor securities with consistent duration profiles across various interest rate scenarios. The IR+M research universe includes all benchmark sectors, as well as non-benchmark CMBS/ABS issues, Agency CMOs and SBA (Small Business Administration) securities. Without the asset size constraints faced by many larger firms, we can build diverse portfolios of our best ideas across sub-sectors. At IR+M, we manage over $9 billion in securitized assets across broad mandates and dedicated mortgage opportunity portfolios, and leverage our team approach to build diversified portfolios of our best ideas from the bottom up. Additionally, we have experience analyzing and trading non-Agency mortgage securities as a result of partnering with clients to provide tailored solutions. 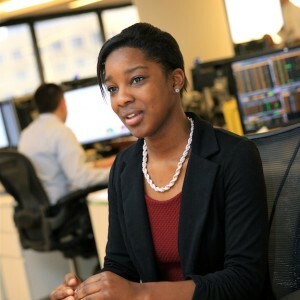 Senior Portfolio Managers work closely with Analysts and Traders, generating solid performance over many market cycles. Our approach to managing securitized portfolios is centered on our bottom-up, security selection process, with an emphasis on securities with attractive collateral and structural attributes. With our dedicated team and manageable asset size, we invest in a variety of in- and out-of-benchmark subsectors within the securitized universe. We build portfolios that we believe have a stable yield advantage and diversification benefits that will add value for our clients. For further information, please contact your Client Portfolio Manager. 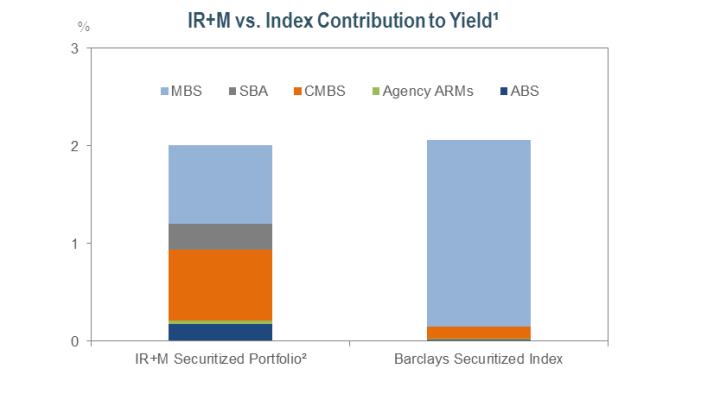 ¹Source: Bloomberg and Barclays as of 6/30/16 ²Sample IR+M Securitized Portfolio as of 6/30/16. There are limitations in sample results, including the fact that such results neither represent trading nor reflect the impact that economic market factors might have had on the management of the account if the adviser had been managing an actual clients money. Actual results may differ. A similar analysis can be provided of any portfolio we manage. ³This is a forward looking analysis and it should not be assumed that past performance is a guarantee of future results. 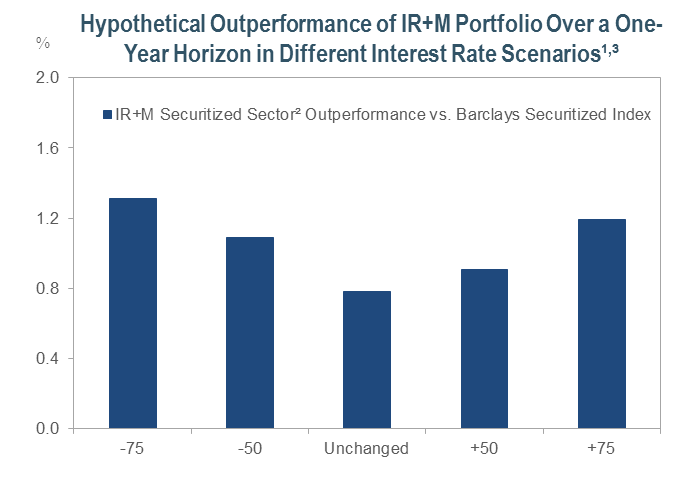 Assumptions: instantaneous parallel yield curve shifts; unchanged spreads and volatility; no reinvestment; 1-year horizon. Source: Barclays, Barclays POINT® and Bloomberg as of 6/30/16 *Convexity: The second derivative of a security’s price with respect to its yield, divided by the security’s price. A security exhibits positive convexity when its price rises more for a downward move in its yield than its price declines for an equal upward move in its yield (Bloomberg) The views contained in this report are those of IR+M and are based on information obtained by IR+M from sources that are believed to be reliable. This report is for informational purposes only and is not intended to provide specific advice, recommendations for, or projected returns of any particular IR+M product. No part of this material may be reproduced in any form, or referred to in any other publication, without express written permission from Income Research & Management.